U.S. 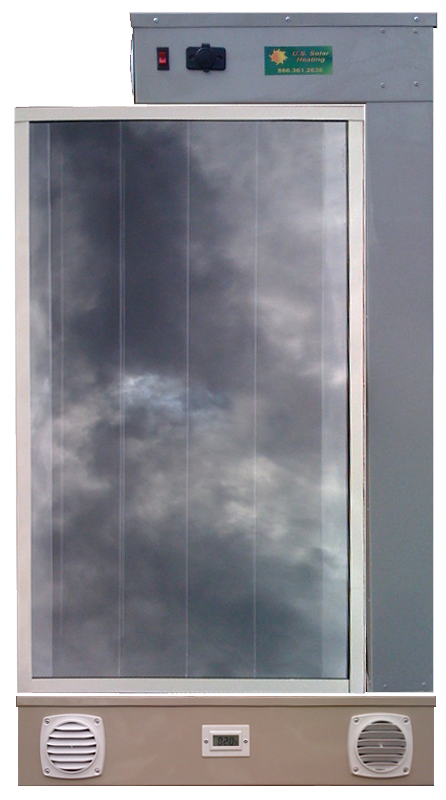 Solar Heating ODSH module is a solar air heating panel unit designed to heat the air for free by using the sun's energy. The ODSH panel is made of high quality aluminum and polycarbonate / clear fiberglass that can hold up to 277° F.
The ODSH simply hangs on the outdoor wall of a window with a southern exposure. The panel has a built in digital thermometer which allows you to see the temperature of the air that the heater is blowing out. Min - 8" Max - 15"
up to 150 sq. ft. Copyright © 2010. Designed by U.S. Heating System Inc.